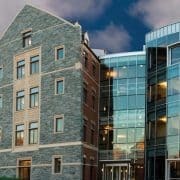 Note from Michael: This profile is part of The A.CRE MBA Real Estate Series highlighting some of the world’s top MBA programs with concentrations in real estate. 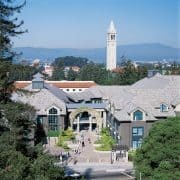 Each profile has been written by a current or former student of the program and is written from their unique perspective on the school and its real estate offerings. A huge thanks to Akbar Dosani, Class of 2018, for taking the time to write this profile of McCombs. Akbar’s bio is provided at the end of the post. 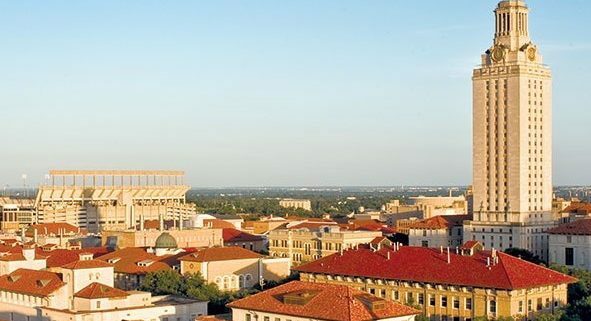 The McCombs School of Business at The University of Texas at Austin offers a robust Real Estate MBA experience for students looking to springboard their career in the commercial real estate industry. While the program is renowned for its outstanding faculty, globally successful alumni, rigorous practical coursework, case competitions and conferences, our incredible classmates and their collaborative “team first” outlook unequivocally sets it apart. I started at McCombs coming from a finance and accounting background in the oil & gas industry with a general intent of getting in the real estate industry. Initially, I didn’t know enough about the industry to know how or in what capacity I could add the most value. Through a host of networking events, panels, lunch-and-learns, treks and remarkable peer advisors, I narrowed my focus to equity and debt capital investment and spent my summer at Invesco Real Estate. I’ve had the opportunity to take classes like Real Estate Investment Decisions, Real Estate Practicum, Real Estate Law, Real Estate Capital Markets, and a hands-on course managing a Real Estate Fund. The Real Estate Practicum and Real Estate Fund have been particularly beneficial to me given the level of direct access we have as students. In the Real Estate Practicum class, we work on a sponsored, live development project in conjunction with students in the architecture/urban planning schools to propose recommendations that are used in investment committee meetings. With the Real Estate Fund, McCombs can proudly call itself the only business school in the country where students have the opportunity to manage a multi-million dollar fund with both public and private real estate investments as part of their course work. Between exposure to actual deals and live projects, students are well-equipped for their internships as well as full-time job opportunities. The heart of the McCombs Real Estate Program is the Real Estate Center (REC), which gives students an unmatched level of support. 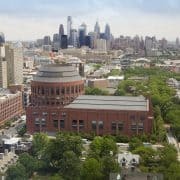 Each year, REC provides real estate MBA students with access to alumni throughout the U.S. through hosting semi-annual conferences with prestigious speakers, offering training for critical software and modeling courses, allowing students to attend major industry conferences like PREA and ULI, and much more. As the Center’s advising entity, the REC Council is comprised of leading professionals in the real estate industry who provide guidance and financial support to the Center and the McCombs real estate program. Council members assist by advising on program strategy and curriculum design, providing career advice and employment opportunities to real estate students, and supplying current market data and case studies on important contemporary issues in real estate finance and development. Twice a semester, the McCombs Graduate Real Estate Society travels to a major city to learn more about new developments, the state of the market, and to network with potential employers. Recent destinations have included Austin, Dallas, Houston, New York, and San Antonio. Additionally, MBA students travel to the ULI Fall Meeting every year to attend learning sessions and network with industry professionals. Each semester, the Real Estate Center hosts a career networking reception for students to learn about potential internship and full-time opportunities. Past employer participants have included Hines Interests, Trammel Crow Company, Greystar Development, Alliance Residential, Prologis, Riverside Resources, HFF, Pennybacker Capital, H/2 Capital Partners, American Campus Communities, Stream Realty Partners, USAA Real Estate Company, UTIMCO, Wells Fargo, PGIM, Live Oak, Harrison Street, Goldman Sachs, and many others. The National Real Estate Challenge, hosted by the University of Texas at Austin each November, allows graduate student teams from top business schools compete for the highest honors and cash awards in an invitation-only real estate case competition. 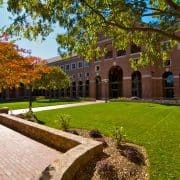 Each year, McCombs MBA’s participate in an array of additional real estate case challenges across the country. These include the UNC Development Challenge, ULI Hines Competition, North Texas NAIOP Competition, and Kellogg and Harvard Real Estate Venture Competitions. At the beginning of their first year, McCombs MBA’s are paired up with alumni mentor in their specific area of interest. This program allows the student to start expanding their network and form a bond with their mentor that will be extremely valuable as the recruiting process begins. The Real Estate Center hosts a series of panels highlighting different careers in real estate including asset management, development, leasing, investment sales, private equity, and investment management. The career panels are led by prominent industry leaders giving students the opportunity to learn about a variety career paths and to build their network within the industry. 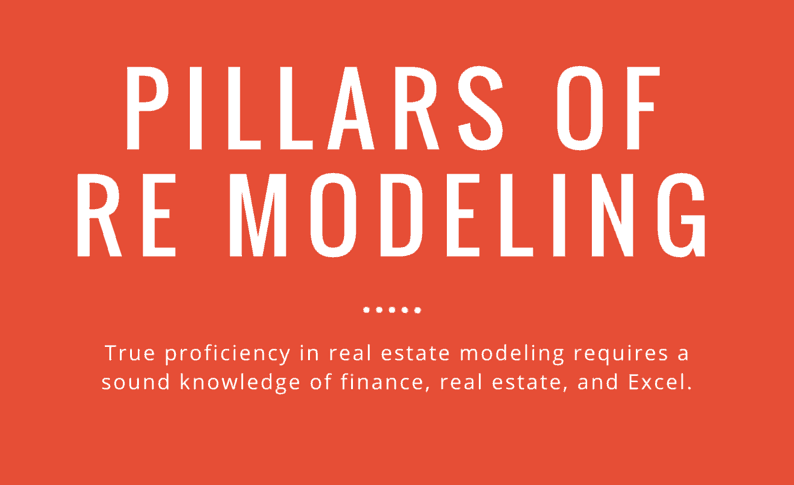 Graduate Real Estate Society members have heavily discounted access to real estate modeling courses such as ARGUS Enterprise, Breaking Into Wall Street, and REFM. Selected MBA Portfolio Managers and undergraduate analysts take a training course covering active portfolio management and fundamental REIT security analysis during the first semester of their year-long commitment to the fund. 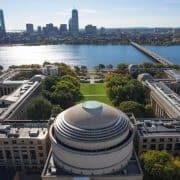 Students apply their training to the task of constructing a portfolio of US REITs designed to outperform an un-managed, market-weight REIT index, as measured by the Dow Jones U.S. Select REIT index (“the Index”). In addition to providing advisory services over the REIT Fund, REC is currently fundraising and has a goal to establish the McCombs Real Estate Private Equity (REPE) Fund. The private equity fund will provide real world exposure to asset level pricing and analysis, with the goal of deploying equity capital into real estate investment opportunities. The course examines the analysis of real estate investments and property developments from the equity owner and developer’s point of view. Economic and financial concepts are applied to real estate analysis with the objective of building a solid foundation in the fundamentals of real estate valuation and deal structuring. The course combines lectures with student discussions, case analysis, and presentations by real estate professionals in its review of the various disciplines involved in real estate investment analysis. The seminar operates as an applied course, or practicum, concerned with the planning, design, financing, and implementation of development and redevelopment projects in a city context. As such, it directly addresses issues of how to make cities better, – more inclusive and resilient, yet meeting the demands of the 21st century marketplace. Attention is focused on the core of the city, and how critical development opportunities can be harnessed in the most creative means possible. This, in turn, requires real world knowledge and skills to address issues of mobility, user mix, amenity, affordability, feasibility, and acceptability in realizing complex real estate projects. The course begins with a study of real estate debt markets and real estate debt securities, MBS (mortgage backed securities) and CMBS (commercial mortgage backed securities). The primary focus is on the structure and cash flow characteristics of real estate debt instruments. We start by studying the primary residential mortgage market and the mathematics and finance of residential mortgage cash flows and pricing. The second half of the course is dedicated to the study of real estate equity markets and securities, both public and private. 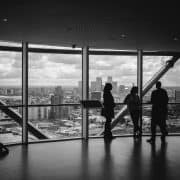 We study how real estate fits within a diversified investor’s portfolio, and the various alternatives an institutional investor has to invest in commercial real estate. The course is set up in three separate parts—basic real estate concepts, basic real estate finance concepts, and legal aspects of the development process. The course objective is to recognize the legal issues that arise in a real estate transaction with example cases and to learn how to avoid potential problems with legal planning before a transaction occurs. The other major objective of the course is the development of analytical skills and reasoning power. The course covers areas of law used by commercial real estate lawyers dealing with purchase and sale of improved real estate, management and brokerage contracts, leases of improved commercial real estate, financing of property acquisition, choice of entity for ownership and operation, federal income taxation and ad valorem taxation of real estate. The course reviews legal theory in areas of contracts, property, agency, tax and business entities, and apply those areas of law in the context of a transactional business law practice. The course is organized around a case study authored by the instructor based on an actual, recent commercial real estate transaction. The case study and course will expose students to the full life-cycle of a real estate development transaction, from due diligence and land acquisition, to construction and lease-up and, ultimately, to the disposition of the project to a publicly traded real estate investment trust. Each class is organized around a specific commercial document (Land Purchase Agreement, Lease Agreement, Construction Agreement and Sale Agreement). Each week, designated students, with the assistance of the instructor, will participate in a mock negotiating session focused on specific issues related to the applicable document. The student-led negotiating sessions are designed to reinforce material legal issues presented in the class lecture and to introduce the students to strategic and business considerations. 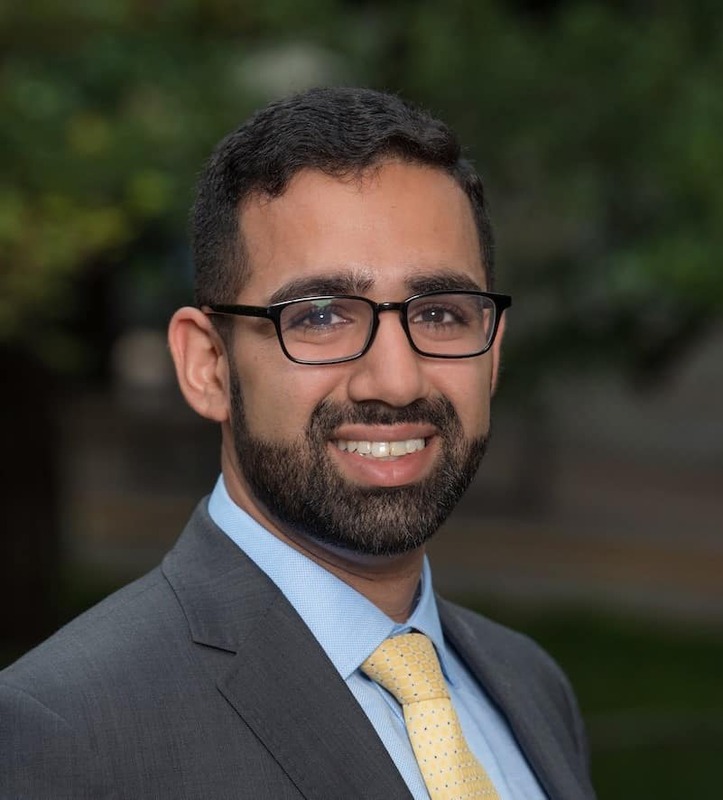 About Akbar Dosani: Akbar Dosani is a second-year MBA concentrating in real estate finance and private equity. 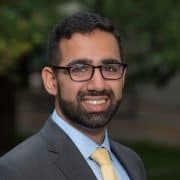 Akbar is originally from Houston and attended the University of Southern California for his undergraduate, graduating with a degree in accounting. Prior to McCombs, he was an analyst at UBS covering oil & gas. Before UBS, he spent time in KPMG’s audit and advisory service lines, working primarily in energy, industrials, and private equity. Akbar spent his summer interning at Invesco Real Estate in Dallas as a Summer Associate on the Structured Investments team. In that role, he was responsible for the underwriting of opportunistic JV equity, preferred equity and mezzanine debt investments in office, multifamily, hospitality, retail and condo product types. During the second-year of his MBA, he is also interning with Cielo Property Group, an Austin-based real estate development and investment company. In addition to his role as GRES co-President, he is also a McCombs Real Estate Fund Portfolio Manager and a member of the Graduate Business Adventure Team (GBAT) and Brew Club. He is also a student member for ULI Austin and an academic advisor for Aga Khan Education Board. Outside of McCombs, he enjoys hiking, national parks, international travel, craft beers, and trying new cuisines.